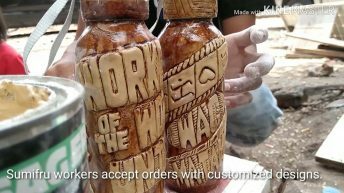 MANILA – In 2015, filmmaker JL Burgos first screened Portraits of Mosquito Press, which traced back the family’s struggle against the Marcos dictatorship. 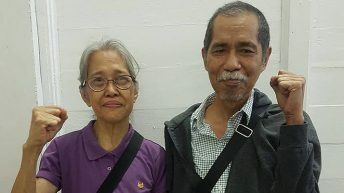 The Burgos family published Ang Pahayang Malaya and We Forum, newspapers that were so effective in stinging Marcos that the dictator ordered the imprisonment of JL’s father, the late journalist Jose Burgos Jr. and other journalists. From then on, JL took every opportunity to educate audiences, particularly the youth, about this chapter in the nation’s history. Just recently, Portraits of Mosquito Press was shown at the Bulacan State University. When Brig. Antonio Parlade Jr., assistant deputy chief of staff for operations of the Armed Forces of the Philippines, claimed that the Communist Party of the Philippines (CPP) and the New People’s Army (NPA) are recruiting members through film screenings, JL did not know whether to laugh or be angry at the preposterous statement. 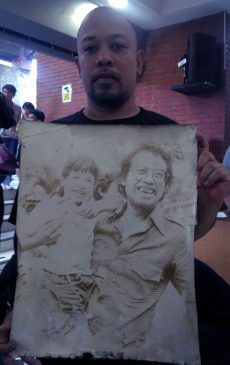 JL Burgos holds an old photograph of his father and himself as a young boy. The photo was taken after the late journalist Jose Burgos Jr. was released from prison. “Some stories are true and some stories are not. The story being peddled by the AFP is not true,” Oebanda said. “I don’t know if I have recruited NPAs because of the film,” he added in jest. 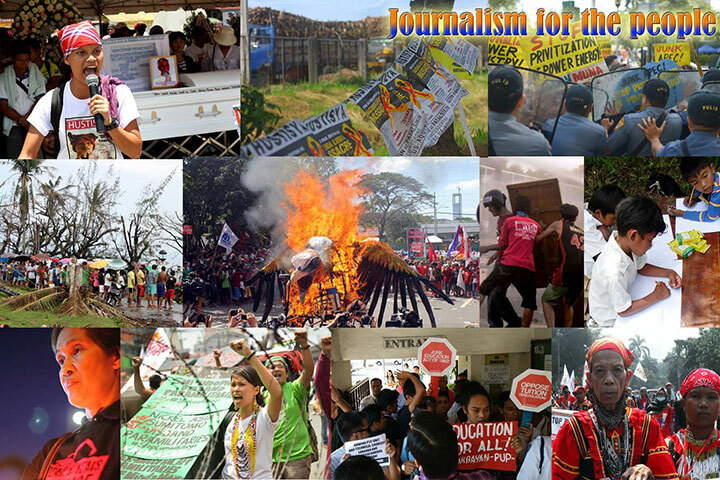 Such AFP’s red-baiting and slander angered more than 700 filmmakers, artists and academics. “Our film screenings provide an invaluable service to the youth, the students and the general audience, especially since our education system has largely failed in informing them about the systematic atrocities that happened during the martial law era,” they said in a statement. 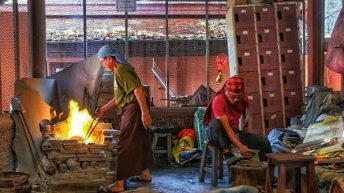 Representing the academe, Rose Roque of UP Manila said the film screenings are effective in educating the youth and in honing the critical thinking skills of students. “It seems that now, they want to silence us. 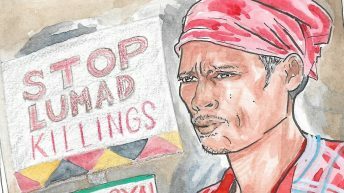 We will never be silenced,” Calma, also director of short film Ang mga Alingawngaw sa Panahon ng Pagpapasya , said. In commemoration of Martial Law, Cinema Centenario featured last September more than 20 films, the oldest being Lino Brocka’s Insiang to the most recent Arbi Barbarona’s Tu Pug Imatuy. In the context of Duterte’s anti-illegal drugs and counter-insurgency campaigns, the AFP’s pronouncements are a cause for alarm. 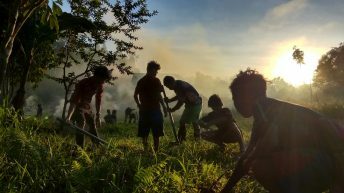 Kiri Dalena of Resbak, an artists’ group against extrajudicial killings, underscored that the statement, coming from the AFP who are involved in the killings of activists and civilians in rural areas, is dangerous. Roland Tolentino, who has a doctorate in film, said the AFP’s red-tagging is an old tactic from the 1950’s McCarthyism. Tolentino of the UP Film Institute recalled that former President Gloria Arroyo also tagged activists as “enemies of the state” to justify extrajudicial killings. 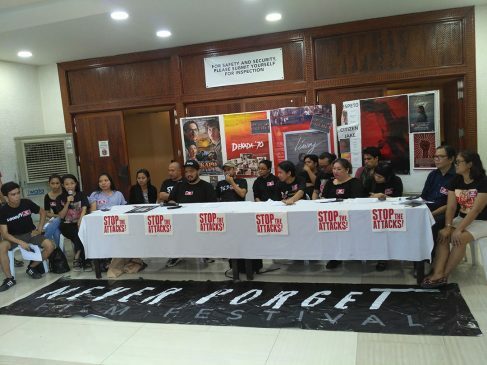 Jade dela Cuadra of Tudla Productions, the organizer of the Lino Brocka Film Festival, maintained that the red-tagging is not only an attack against the rights of filmmakers but also an act to hide the realities from the public. Treb Monteras, director of Respeto, also believes that the administration only wants to divert the people’s attention from issues such as price increases and extrajudicial killing of drug suspects. 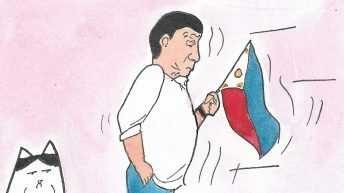 He cited attempts at historical revisionism and political rehabilitation of the Marcoses. The filmmakers and artists are not cowed. Calma said they are planning to continue the Never Forget film festival in different schools. As for Liway, Oebanda said they’re all set for the commercial screening this Oct. 10 amid online attacks from trolls. The Directors Guild of the Philippines, Inc. in a statement encouraged schools to continue screenings of films that contribute to their education and reminded filmmakers to continue making films that matter to society.